This week, Congress left states holding the baton in a lonely sprint to curb 2019 Obamacare premiums, with just a couple of months to get creative with legislation, waiver requests, and regulations before insurers file their rate requests. After opposing Republican efforts to expand federal abortion funding prohibitions to Affordable Care Act cost-sharing reduction payments and other measures, Senate Democrats opposed the GOP-led stabilization package with its funding for CSRs and a $30 billion reinsurance pool. Without Democratic support, the measure was dropped this week from the $1.3 trillion omnibus spending bill, the last must-pass legislation of the year. To insurers' dismay, it isn't likely to come back. Although their time and options are limited, state officials and policy analysts agree the best immediate opportunity to stem 2019 rate hikes lies in states seeking ACA Section 1332 waivers to set up reinsurance funds. Otherwise, premiums for ACA-compliant individual-market plans are expected to rise by about 30%. But for the states, the challenge lies in the details as they race against the calendar. Carriers will begin filing their proposed rates as soon as May, and most state legislatures that remain in session have to wrap up their legislative business in April. The 1332 waiver required for a reinsurance fund must be approved by state legislatures. "A lot of the levers of control for marketplace stabilization are within federal control, and are not really within states' authority," said Heather Korbulic, executive director of the Silver State Health Insurance Exchange, Nevada's individual marketplace. "Reinsurance at the federal level was something we were really hopeful about. We are looking at 1332 waivers and reinsurance options in the state, but it's difficult." The Nevada Legislature is currently closed for business since it meets every other year, and this is an off-year. Also, while a reinsurance effort through a waiver is on the table, Korbulic noted, the state likely can't afford to front the money for its reinsurance proposal the way Minnesota and Oregon did. The state is also still looking into the feasibility of a Medicaid buy-in option, a measure vetoed last year by Republican Gov. Brian Sandoval on the grounds that it hadn't been properly vetted. Now, committees are studying the potential impact of such a bill, which would let people buy Medicaid coverage. Korbulic worries that unsubsidized consumers will face another big rate hike in 2019 driven by the repeal of the ACA's individual mandate and the Trump administration's push to expand short-term and association health plans, which are expected to drive up premiums for people who are older or who have pre-existing medical conditions. There is little the Nevada marketplace can control beyond educating consumers about their health plan options. For people receiving ACA premium subsidies, the message is that the subsidies still exist, she said. For the unsubsidized, it's necessary to educate them about the danger of going without insurance. "The cost of medical care is so prohibitively expensive you will ruin yourself financially if you have an emergency, and you aren't covered," Korbulic said. Some states may be able to scramble and set up a reinsurance pool in time to make a difference. In Colorado, where the legislative session won't wrap up until May 10, officials are hoping to get a 1332 waiver request establishing a reinsurance mechanism authorized by legislators before the session ends. Individual-market insurers will be filing their proposed rates in June. Under Colorado's proposal, reinsurance would kick in for a health plan member at a certain claim amount. Colorado interim Insurance Commissioner Michael Conway said the state chose that model rather than tying reinsurance to a person's health condition in order to protect patients from potential down-the-road discrimination in case the ACA's consumer protections are ever repealed. Conway added that for 2019 the state will also "silver load" the cost-sharing reduction payments, a method many states deployed for 2018 to protect unsubsidized enrollees once President Donald Trump halted CSR payments, although Colorado chose not to at the time. That method kept the cost of silver plans steady or even reduced them for some consumers because it boosted the amount of subsidy payments made by the federal government. The fact that silver-loading in the wake of the CSR funding cut-off made premiums more affordable ultimately turned many Democrats and liberal advocacy groups against the congressional effort to restore CSR funding. As states grapple with reinsurance, they also face the looming prospect of expanded access to short-term plans and association health plans. These Trump administration policies are urging states in different directions when it comes to changing up their risk pools. In Iowa on Wednesday, the state House approved a combination of two bills. One would allow small employers to band together to create association health plans. The other bill would allow the Iowa Farm Bureau Federation to offer non-ACA-compliant plans insured by the state's dominant carrier, Wellmark Blue Cross and Blue Shield. State officials like Conway and Korbulic are wary of association health plans as a potential disruption to the small group employer market, which in most states has remained stable. They are not alone in their concerns. New Jersey's proposed bill to create a state individual mandate would require individuals who work for small businesses to enroll in coverage that meets small-group mandates in order to avoid the state's penalty for not having qualifying insurance—an attempted check on the Trump administration's push for association health plans, said Andrew Sprung, who authors the health policy blog Xpostfactoid. To round out this three-in-one measure, the New Jersey bill would also funnel the mandate revenue into a reinsurance fund to support a companion bill to authorize a 1332 reinsurance waiver. The state already bans short-term individual-market plans. While several states have limits on short-term plans, others are seeking to add them. Through rule-making, Washington state Insurance Commissioner Mike Kreidler wants to safeguard them with ACA protections. As they observe the Trump administration's actions and potential actions, state officials and exchange insurers hope the federal government will let states keep their autonomy and authority when it comes to regulating insurance. "I would caution the administration from making changes to supersede what states can do," said Justine Handelman, senior vice president of the Blue Cross and Blue Shield Association. 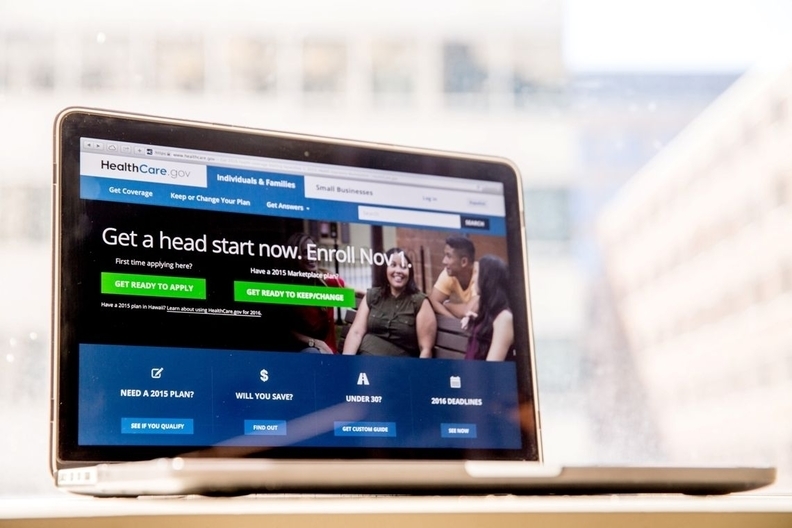 Colorado statute already limits short-term plan enrollment. Conway said he has been in touch with the CMS and has had "some indication" the administration's final rule on short-term plans won't pre-empt the state's law. Another factor in insurance market uncertainty is that the Trump administration has yet to release its final rule on exchange benefit and payment parameters, which was expected in February. Some of the rule's provisions, such as the proposed increased user fees for states that run their exchanges through the federal marketplace, could hit operational budgets. States will face tough challenges in the coming months in keeping their individual insurance markets stable. The GOP goal of putting states in charge is being realized in a different way than congressional Republicans had envisioned when they tried to repeal and replace the ACA last year. This past week's failure of the congressional effort to pass an insurance market stabilization package coincided with the ACA's eighth birthday. It highlighted how the continuing federal battle over Obamacare is playing out at the state level. "The consequences of Trump and congressional Republicans' sustained attacks on Americans' healthcare will be higher premiums, the return of junk insurance, and widespread discrimination against vulnerable people," said Sen. Ron Wyden (D-Ore.). For now, protecting consumers from higher premiums and discrimination based on pre-existing conditions is in the states' hands. Conway is eager to get to the next challenge—bringing down the healthcare costs—which Congress has not yet attempted to do. "Until we address that problem, we won't make a real difference in the premium rates people are paying," Conway said.